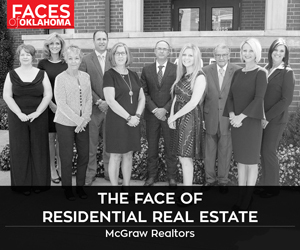 OKC’s Historic Stockyards City offers culture, shopping, dining and longhorn cattle drives. 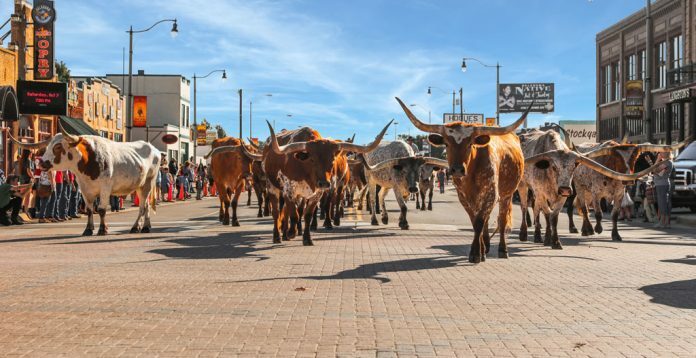 Stockyards City, with parades led by herds of red-and-white speckled, 1,000-pound longhorns, is steeped in more than a century of history, but the district has broadened its iconic stature in national livestock commerce to encompass dining, shopping, art, music and special events. A tourist destination, Stockyards City Main Street is both a state organization and a business improvement zone within Oklahoma City, says Kelli Payne, the first Stockyards City Main Street director with a hands-on agriculture background. The Stockyards offers authentic cowboy goods and the opportunity to dine at Cattlemen’s Steakhouse, just like former President George H.W. Bush (and Ronald Reagan before he became president). In Old West tradition, a scantily clad lady is the subject of a large painting over the 50-foot bar at McClintock Saloon and Chop House. Locally owned, the chophouse boasts “an unforgettable experience” with menu highlights such as bourbon pork belly and a signature side dish of fried angel hair onions. Sidle up to the daily lunch buffet at The Longhorn Cafe or find an array of spicy Mexican fare at Los Comales. At Panaderia La Herradura, choose from among 100 varieties of pastry bursting with Central American flavors. Cowboys and those choosing classic Western flair in their cold-weather gear seek out Mustang Creek Alpaca Co., owned by Kathy Fleming. The shop carries alpaca-related clothing and materials, including socks, scarves, yarns, blankets, long johns, sweaters, coats, vests and slippers, as well as made-in-Oklahoma gifts. An avid knitting and crochet enthusiast, Fleming fell in love with alpaca fleece after she followed a “Yarn for Sale” sign while she vacationed in Oregon. Before long, she had a flock of the critters that needed to earn their keep, so a business was born in 2016. Stockyards City, with its emphasis on livestock-related merchandise, was the perfect spot because “people from literally all over the world visit the Stockyards,” she says. National Saddlery, founded in 1926, is the state’s oldest working saddle and tack shop and the area’s largest carrier of rodeo gear; it features hand-cut, handmade, high quality leather goods. Cross Bar Gallery, part of the saddle shop, showcases upscale western furniture, jewelry, original art, home decor and accessories as well as custom interior-design services. For children of all ages, perhaps Stockyards Sarsaparilla is the highlight, where a shopper can wander an old-fashioned candy store while munching on free samples of homemade fudge. Western-themed gifts mingle with flavored Arbuckle coffees, taffies and candies. You can also build a six-pack souvenir among more than 350 nostalgic choices of soda pop. Bonnie Skaggs chose to locate her boutique, Prairie Dust Soaps and Stuff, just across the street from her former employer, National Saddlery. Other Stockyards City shops include 4W Western for chic cowgirl apparel, handbags, handcrafted accessories and decor, and Cowtown Company, a boot repair and retail shop. Art found at Cattlemen’s Steakhouse is likely from Jack J. Wells, who also has a gallery on Exchange Avenue. Western fashions are featured at many shops, including Western Wear Outlet, Gellco Clothing & Shoes, and Langston’s Western Wear. For a perfect pair of boots, check out Little Joe’s Boots for personalized service. Old-school chic can be found amid the vintage merchandise at Rusty Chandelier and the wide selections of hats at Shorty’s Caboy Hattery. The next special event is the St. Patrick’s Parade on March 17. 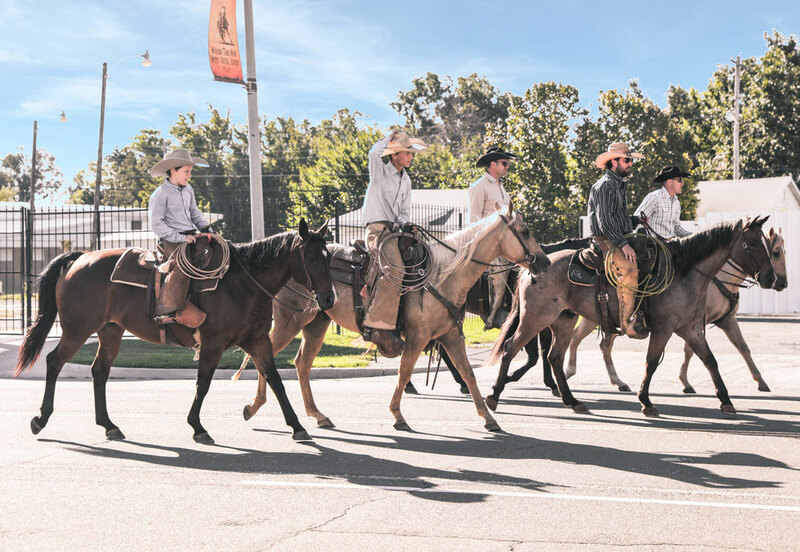 Other yearly Stockyard City events include June’s Wine of the West Festival, the Stockyard Stampede every autumn, various chuck wagon cookouts and Cowboy Christmas.